This is the third in a series of four carpet seminars which the Hajji Baba Club will be sponsoring with fellow Hajji Jason Nazmiyal. Each seminar will be held at the Nazmiyal Collection gallery on the Wednesday evening dates listed below, from 6-8 PM. Light refreshments will be served, and questions are encouraged. Hajjis may remember the Nazmiyal Gallery as the site of the Marshall and Marilyn Wolfe Anatolian Kilim Exhibition that was a part of the Hajji 75th anniversary events a few years ago. 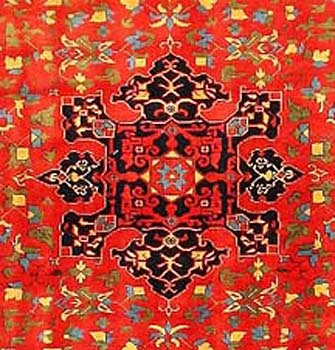 Nazmiyal has a comprehensive collection of rugs and textiles as well as a great website with helpful content and other information resources. We are asking Hajji members who participate in these seminars to consider making a contribution to the club, suggested to be $15 per session. Members can logon to pay online online or make a reservation and pay by check. We hope that many of you (and your friends) are able to join us!